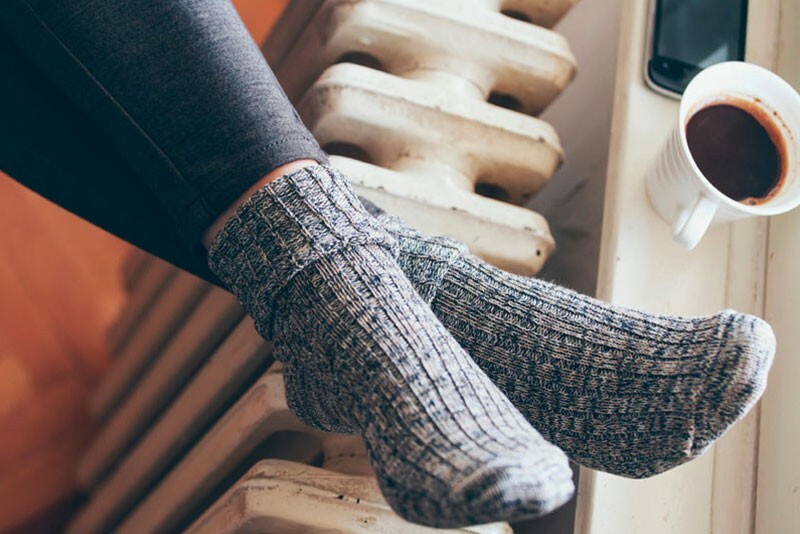 If you need a new heating system or heating services in the Greeley area, call our friendly team and we can help you get more comfortable ASAP. Our heating services include new system installation, replacement, repairs, and maintenance services. Many of our technicians are NATE certified, and our experts have years of experience and undergo ongoing training as well. You can trust us to provide you with excellent service for your boiler, furnace, heat pump, radiant system, or ductless heating and cooling system. This includes installation and repairs, but also routine maintenance services that can restore some level of efficiency and performance and prevent repairs for the heating season. McCreery & Sun Of Colorado has your best interest in mind, so trust our technicians for all of your home comfort system needs in Greeley, CO.
McCreery & Sun Of Colorado provides heating systems and services in Greeley, CO and the surrounding areas. When you’re in the market for a new heating system, it’s important that you only allow a skilled professional to install it for you. A technician with experience is always going to be the most qualified person to pick out a heating system for your home. They know just what to look for within your budget, and they recognize when a system is up to standards and when it is not. We install the top brands in heating. Our technicians have the skill necessary to see that your heater is fitted securely into your HVAC system, and we will make sure it’s running safely before we leave. Our heating experts have been in the field for many years, so we know how to diagnose problems quickly, size a heating system for new installation, or to provide routine maintenance services. You can trust us to find an efficient heater within your budget and to keep it running smoothly. We have NATE–certified experts on staff, which means they have proven themselves to be more than proficient in their knowledge of heating systems. Take a look at the type of heaters we service. We can provide maintenance and repair services for all of these, and we won’t recommend a heating system replacement unless it is truly necessary or cost–effective. A boiler is a heating system that many homeowners claim provides better all–around comfort than a furnace. Boilers move hot water from the boiler tank through a piping system around the home. The heat from the water transfers to the people and the objects in the room, so you feel the heat radiating directly from the floor. A ductless system uses a bunch of indoor blower units around the home as a substitute for a central ducting system, along with an outdoor unit. Refrigerant moves from the inside portions to the outside, so the only renovation necessary is a small hole in the wall for the refrigerant line. Call us to learn more about these efficient AC and heating systems. Furnaces can be found in the majority of homes in our area. They are reliable, durable, and efficient, if you purchase the right systems and call professionals for service or installation. Call us to learn more about which type of furnace is right for your home, or if you notice your furnace is in need of service. A heat pump is a heating and cooling system in one. It looks and operates a lot like an air conditioner, even in heating mode. The only difference is that, in heating mode, it moves heat into the home, not out of air in the home. Heat pumps are excellent and efficient systems popular among homeowners looking to cut back on their use of natural resources. Radiant systems can be excellent for homes without ducts, for small spaces like garages, or for any homeowner who wants the comfort and efficiency a radiant system can provide. Learn more about radiant heating systems by calling our friendly team. We are happy to answer any questions you might have. We specialize in hydronic solar heating systems, which can save you a large amount of money over the years. Solar heating is also durable and long lasting, but only if you have a professional there to take care of it. Call the friendly technicians on our team if you are interested in a solar heating system for your home. Your older thermostat might not have all of the features you want to automate your home heating and cooling and make it easier to save on monthly energy and fuel costs. A new programmable thermostat can help, or you can upgrade to a smart thermostat that connects to the Wi–Fi and to an application on your smartphone. Zone control systems are helpful in larger households, where family members sometimes have difficulty agreeing on what the temperature in the home should be. A zone control system puts a thermostat in different rooms of the home. Call us to see if zone control is a good choice for your home heating and cooling needs.